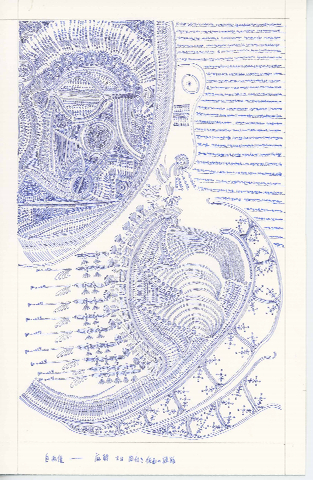 ”Scriptures from the Birds” is a sequel to “Naturalis Historia” that she made with blue ink on paper last year. Sakagami pays an homage to the birds, the creature she loves the most on the earth. There are more than 40 drawings at the show.